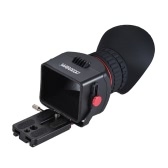 This zoom viewfinder magnifier is specially designed for DSLR photographing. Its ratio can reach 1.08x to 1.60x, which can greatly improve the eyesight of photographer who is with glasses or with ages. It is improved based on previous series, and come with bigger lens which can better solve the vignette. 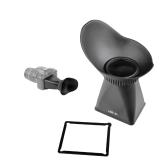 This Viewfinder Magnifier adjusts the viewfinder's image by a ratio of 1.08x-1.60x and makes the viewfinder's image larger. 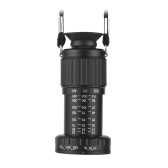 Magnifying the viewfinder image helps obtain accurate focus with ease. It also greatly enhances focusing accuracy. 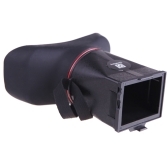 You need not worry about the broghtness of the viewfinder's image being affected after installation, as this magnifier does not affect the brightness of the viewfinder's image at all. This magnifier does not create vignetting affect. 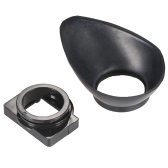 1. remove the original viewfinder eyecup. 2. install the adapter on the viewfinder of the camera. 3. screw the magnifier on the adapter suitably. Ultra fast delivery, highly recommended, excellent transaction !!! Excellent ! Very fast delivery and well packaged. Many thanks... an A1+ seller ! Thank you for an easy, pleasant transaction. Excellent Sellar. A++++++. Two days received the courier. Real efficiency. Excellent seller first class goods pleasure doing business with.